Okay! This is the most irritating problem I had ever come across. My iPhone mobile data fails to work after upgrading to iOS 11! I don't know this is an usual problem or it only just happened to me. I needed the internet for some important project but I couldn't complete it. I have not much time and want a quick fix to resolve this issue. Can anyone help please? This is an email we receive from a customer. The moment is enough to create annoyance as internet has become a basic need and there's nothing can be done without it nowadays. 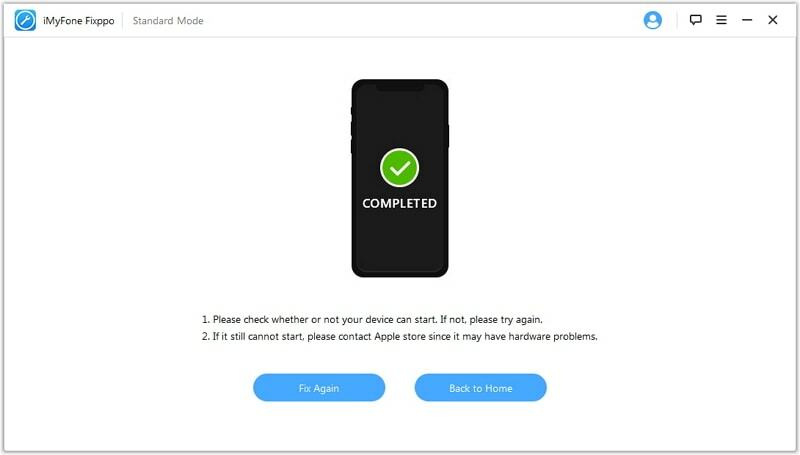 The iPhone mobile data not working problem is not a rare one and has reported by many iPhone users at the time of upgrading their OS or firmware. We are going to introduce several easy fixes to get over the problem, and they works for the latest iOS 11, also. Let's head towards them. Restarting the device is the primary fix not only when iPhone mobile data is not working but for many small iPhone problems too. This way is the easiest and quickest one to resolve many issues. Press "Sleep/Wake" button and hold it you see a slider saying 'power off'. Drag it to power off the device. 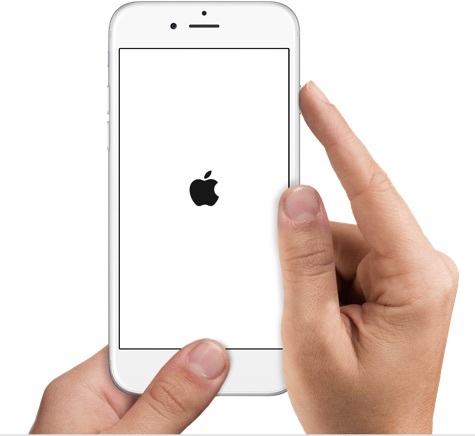 Subsequently, press and hold again the "Sleep/Wake" button and let the Apple logo appear. Release the button and see if the problem is fixed or not. From the home screen, head to "Settings" of your iPhone. Go to "Cellular" now. Tap on "Cellular Data Options". After that, touch on the toggle button next to "Data Roaming" to turn it on. Go to "Settings" and tap on "General". Now head to "About" and check the availability of an update. You will observe a pop-up if there is an update available. Tap on "Install" button afterwards. By going after the steps, you'll get the update carrier settings done. Ask and confirm if your account is still active. Check if there is any service outage going around your area. Make sure your device is activated with the appropriate data plan. 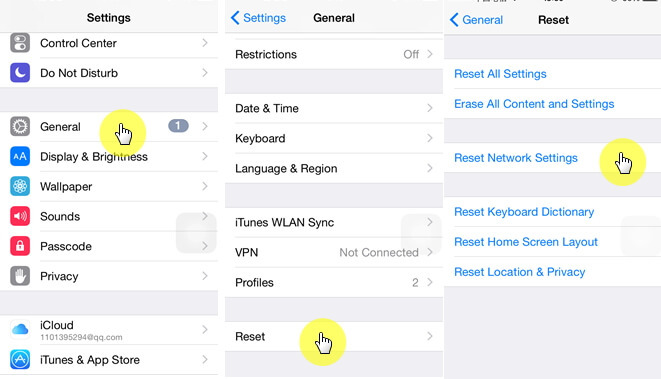 Resetting network settings can be considered as the best solution to fix iPhone mobile data not working problem. 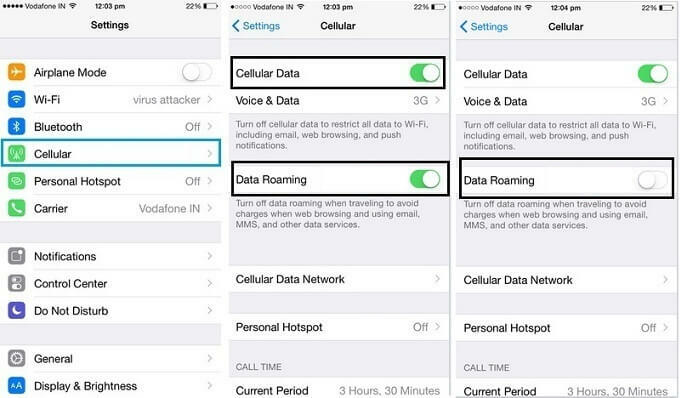 This method is handy if iPhone mobile data is not working since it clears all the saved data and Wi-Fi networks, passwords, VPN or cellular settings, ultimately setting up the cellular data as a new one. To perform this method and repairing the issue, go after the steps below. From the home screen, please tap on "Settings". Tap on "General" and then choose "Reset" option. Now go to "Reset Network Settings". And you will be done right away. 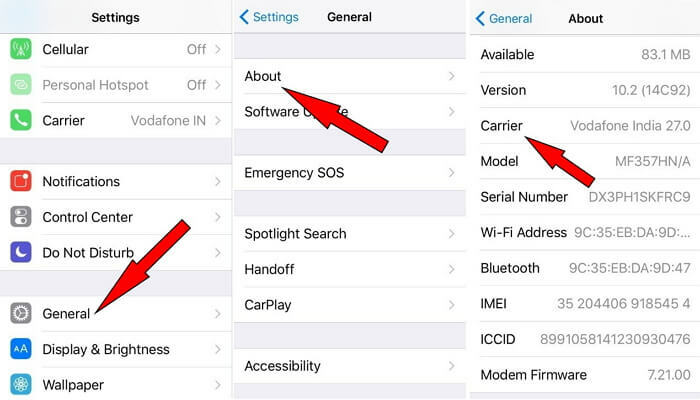 You can try iMyFone iOS System Recovery in order to fix the iPhone mobile data not working issue after iOS 11 update. This software is very useful to fix wide range of iOS problems. For its high-quality features, it can be said as the most recommended software. The software is completely harmless to your private information. There’s no need to be anxious about leakage of your important data. iMyFone iOS System Recovery is easy to use. You can use it with no special technical knowledge. This software plays an important role for not losing data. You can rely on the software for it fixes your device without any data loss. Various common iOS problems can be fixed with the help of this software, for example, iPhone is stuck in freezing mode, DFU mode or white/black screen of death. 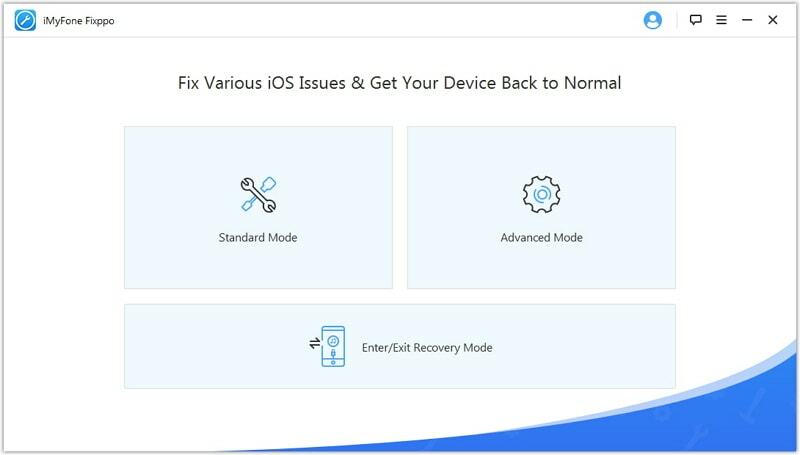 Download iMyFone iOS System Recovery and launch it on the computer. Select "Start" from the main window. 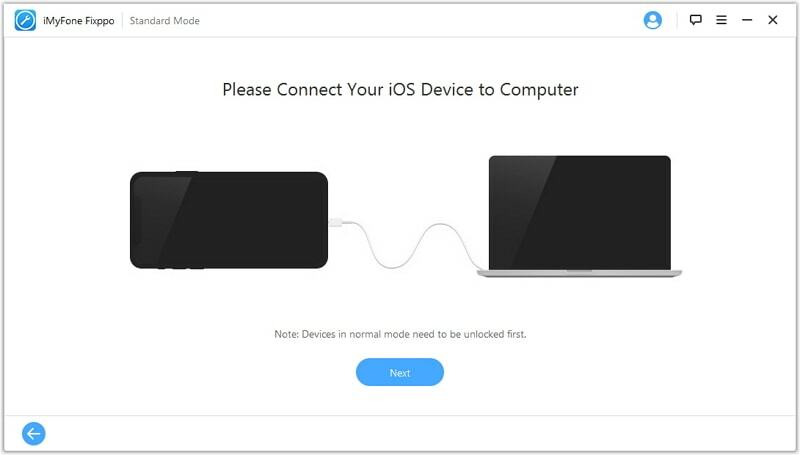 Plug in your iPhone to the computer and let it get detected by the software. select "Start" again. 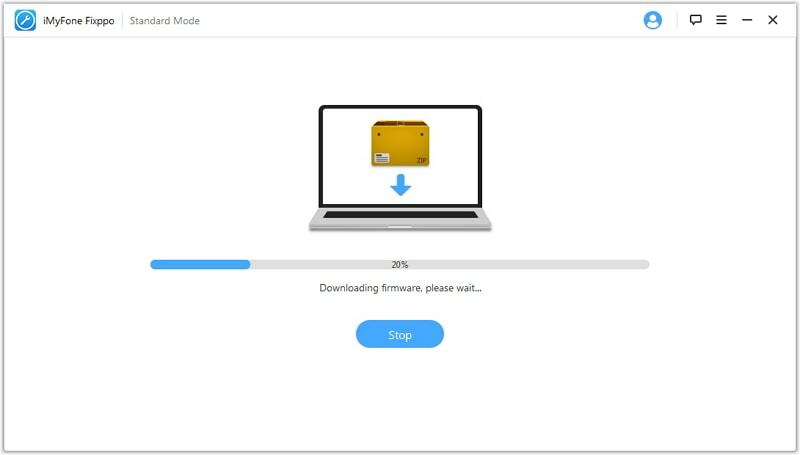 Download the latest firmware by simply hitting "Download". After the software downloads the firmware, your device will start getting fixed automatically. Once done, iPhone will restart and return to normal. 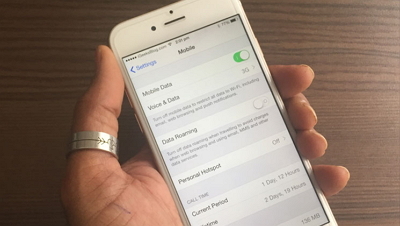 It's a pretty saddening situation when iPhone mobile data is not working when you are going to enjoy the new features of iOS 11 because we rely more and more on network nowadays. Although mobile data can stop working for various reasons, it can be fixed by many methods. If you do fix this problem with the methods above or this post really helps you, please leave a comment below. That will help other readers.